The Dirt Bag is your trusted source for landscape materials and sod delivery in Lehi, Utah. We have earned an impressive reputation in the community for our commitment to exceptional customer service and affordable pricing. All our materials are available for delivery or you can always swing by our location and load up. We have a variety of the materials you want and need most, from garden soil, mulch and compost to gravel, play sand and wood chips. The Dirt Bag is also Lehi’s favorite sod supplier, thanks to our hardy native Utah sod delivered directly to your door. 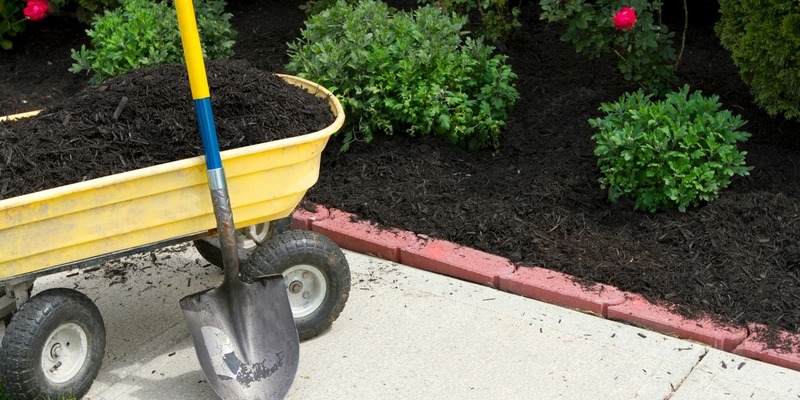 Is lugging and hauling bagged garden soil, mulch and compost from the home center breaking your back – and busting your budget? The Dirt Bag delivers a variety of your go-to bagged landscaping materials, including organic compost, brown and black mulch, Utelite soil conditioner, play sand, wood chips and, of course, our local favorite Garden Soil Plus, the best premium soil available in Lehi. All our bagged products come in a one-cubic-yard heavy-duty woven bag. Our bags are resealable and reusable or, if you prefer, just bring your bag (in good condition) back to us for a $5 rebate. Did you know The Dirt Bag is also a high-quality sod supplier in Lehi? Our custom blended Kentucky Bluegrass sod is designed to thrive in our northern Utah climate, requiring less water and fertilizer. And, because our sod is resistant to pests and weeds, you won’t have to rely on harsh or potentially toxic chemicals to keep your lawn lush and healthy. We will deliver your sod directly to your door, rolled and conveniently stacked on pallets. Our minimum order is four pallets (approx. 2,160 square feet) but, if you order 10,000 square feet or more, we will deliver it for free in Lehi. Call us today to place your order for our superior Utah sod. In addition to our bagged products, The Dirt Bag also sells and delivers bulk landscape materials in Lehi. You can choose Garden Soil Plus, Organic Mountain Compost, shredded bark mulch, playground wood chips or play sand. We also deliver screened topsoil, pea gravel, Oquirrh gravel, Weber cobble and more. Call our office or stop by to check out our selection. One phone call is all you need to get your bulk landscape materials delivery. You can order your bagged landscape products through our simple and secure website or you can just give us a call. Remember The Dirt Bag for all your soil, mulch, compost and landscape product needs.